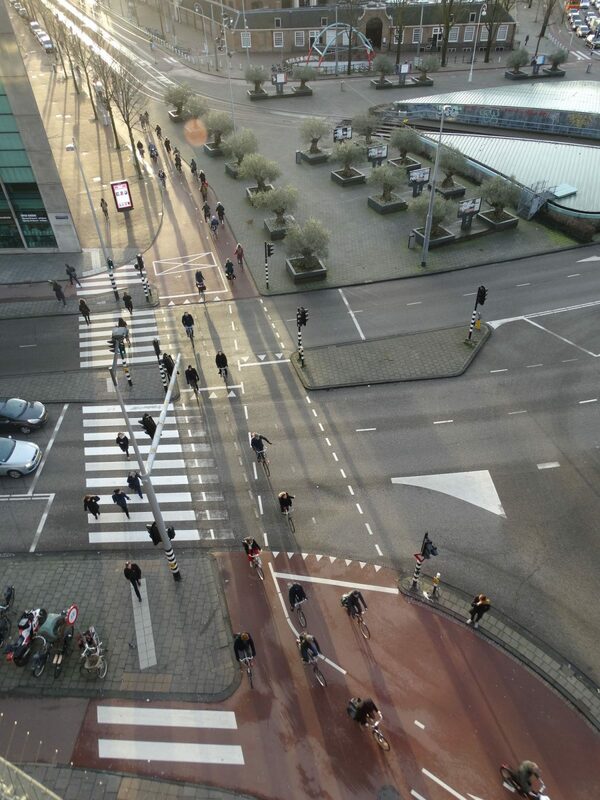 In 2015, FABRICations was part of a special team of the Amsterdam’s traffic department, which challenged itself to improve cyclist condition within small project investments. Amsterdam is famous for its bicycles. The seventies revolution and the ongoing attention for cycling as a healthy, sustainable and social way of transportation led to a bicycle-inclusive planning approach and a vast cycling infrastructure network. But the success story is facing a new challenging phase. With the amount of cyclists still growing and an increasing range of types of cyclists – think fast e-bikes, large cargo bikes, shared bike programs, more bike-renting tourists – the city’s bicycle paths face serious congestion and cycling becomes less and less comfortable. The busiest intersections in the city face over 11.000 cyclists per hour, leading to actual traffic jams and dangerous cyclist behavior. Space is limited, especially in the historical inner city. Designers need to get more and more creative with whatever space is available in order to improve the cyclist flow. 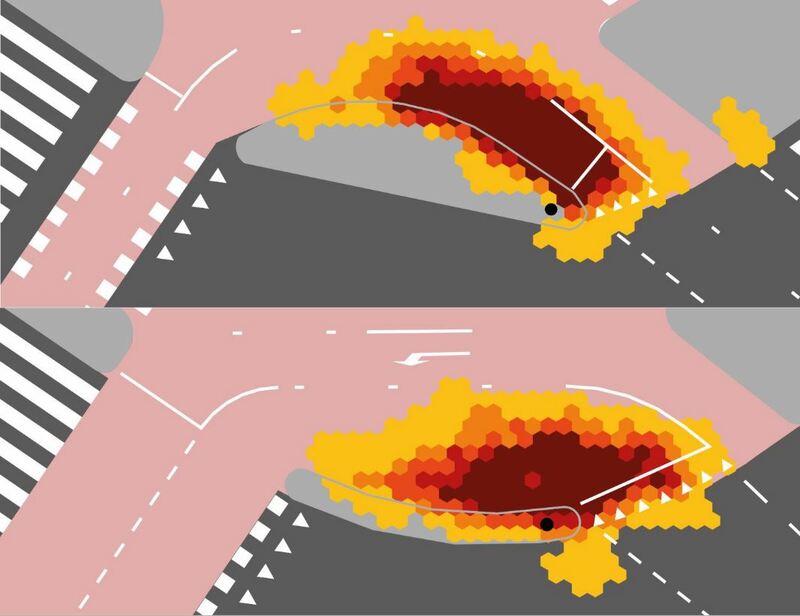 A close look at cyclists’ behavior helps to make precise designs possible. 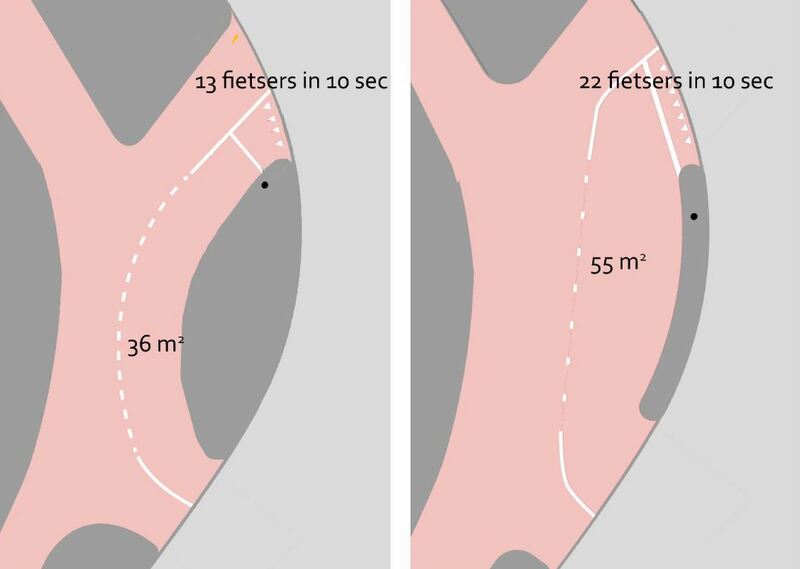 The project team proved that the flow of cyclists can be significantly improved with relatively small measures. By enlarging waiting areas for cyclists, adjusting traffic lights and changing street signs for example. Or by ‘funneling’ cyclists on two-way paths, giving more waiting space at the traffic light and narrowing again as you approach the other side. This way cyclists can accellerate simultanously while allowing more cyclists to pass a green light. The team makes designs based on careful observations, dubbed ‘design after use’. These Kleine Infrastructuur Maatregelen (KIM, or ‘small infrastructure measures’) enable quick interventions, at relatively low costs and effort but with maximum effect. Intersections such as Mr. Visserplein, Treublaan and Alexanderplein are examples of succesfull KIMs, and more are underway.